plus, tax and applicable shop and disposal fees. 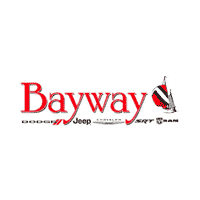 Must present coupon at time of Repair Order initiation, valid only at Bayway Chrysler Dodge Jeep Ram, cannot be combined with any other offer, not applicable to past repair orders, must present coupon in person to receive special. Valid only on select models see shop for details.